My recent article in the IAFC On Scene. With the current challenges the fire service faces today, with ever-increasing responsibilities and danger, we need all the help we can get. We must continue to build our analytical skills with the intuitive leadership skills necessary for success in our complex and chaotic world. We must encourage a commitment to lifelong learning and development. We need to produce leaders who are mentors, coaches and counselors: leaders who create conditions for development. So where do we begin? We begin by reading more. 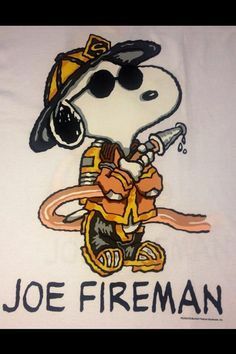 So, why wouldn’t this concept work for the fire service? Actually, it does and I want to propose a challenge to everyone: To read more! I’ve always counted on books to help me. Regardless of the problem I faced or the topic I was interested in, I have always found a book to help me through it. Truly, books have transformed my career and my life. I can look back over time and point to specific books that have influenced my thinking and helped me to grow as a leader. Professional development comes in many forms—through training, hands-on experience and yes, even reading. The real purpose isn’t to just read, but to inspire discussion on different topics as well. Reading is essential to self-education and lifelong learning; the fire service can only get better if more of us take time to read. Read as if the quality of our lives depends on it, because it does. Reading will make us better. Billy Schmidt is a battalion chief for Palm Beach County (Fla.) Fire Rescue and a member of the Safety, Health and Survival Section. My Big Question: Do We Focus Too Much on the Nuts and Bolts?